Hi. I just did an LED backlight swap on my X61s. Sooo much brighter and whiter. 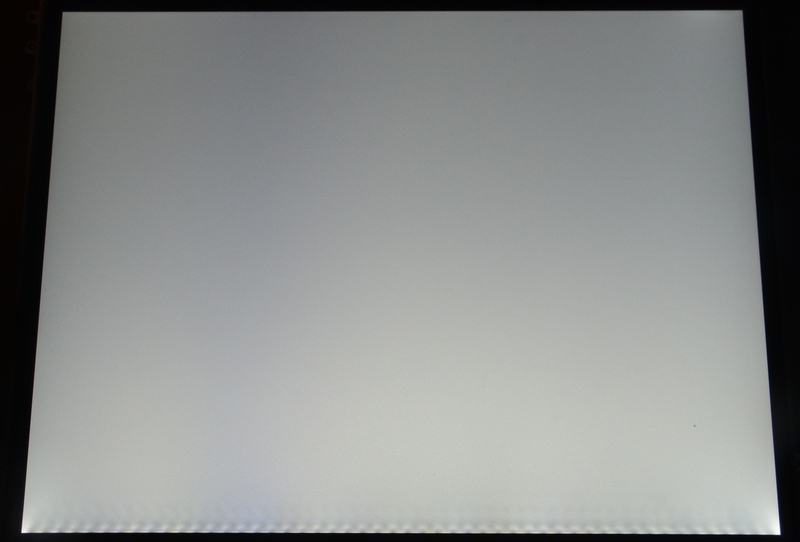 But I do get a ripple pattern on the bottom of the screen from the individual LEDs (as opposed to the original tube). Any techniques to mitigate that ripple pattern? Yeah, you can / should insert a diffuser strip above the LEDs. You mean you're seeing this, right? If you're using Monty's daylight kit they're included, otherwise you can use a similar material. Read here, specifically under Shims and the differences between the Original and Daylight kits. Those look more like pressure spots, but someone with more experience in the display area should confirm that. 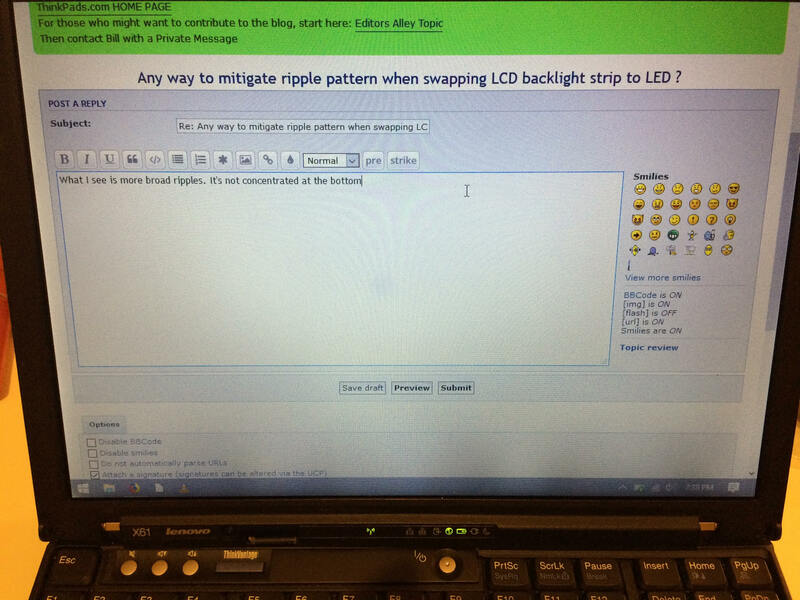 Wouldn't surprise me if the LED "chips" are causing the pressure...hence appearing as the backlight is causing the ripple. I'm 99% sure that's not permanent damage. Same issue with my X61 Samsung. Haven't bothered to try and fix it yet.